Sometimes you just want a sandwich (or a salad, flatbread and a cup of soup...). 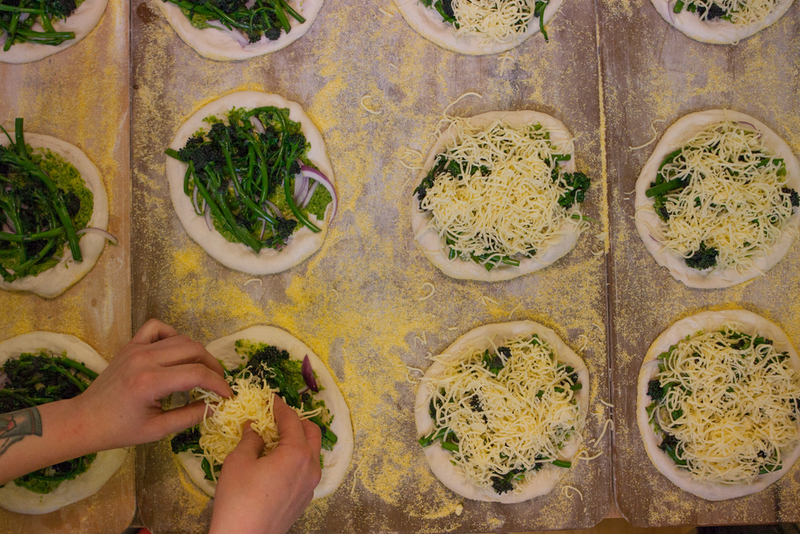 We put the same care and real food goodness into the savory things we make as we do everything we place in our bakery case. 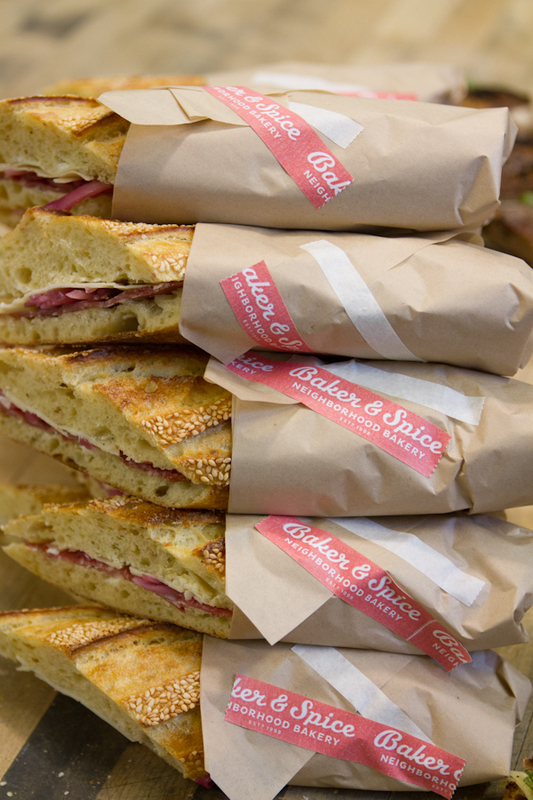 All of our sandwiches are made on fresh bread daily with house-made spreads, local & organic produce and the tastiest cured meats & cheeses available! Smoked turkey with house-made green tomato chutney, aged cheddar, dijon mayonnaise* & fresh local greens on village sourdough. Sorry, no substitutions. Try it toasted. Artisan ham, cave-aged gruyere cheese, balsamic onion marmalade, dijon, local european-style butter & french sea salt on fresh ficelle. Sorry, no substitutions. Oregon line-caught tuna, red onion, celery, fresh dill & cornichons tossed in house-made mayonnaise & red wine vinegar with fresh greens and mayo on a whole wheat croissant. Your choice of old fashioned white or seeded whole wheat lightly buttered and grilled fontina cheese. Chunky natural peanut butter spread with raspberry jam on your choice of old fashioned white or seeded whole wheat. It’s not just for kids! 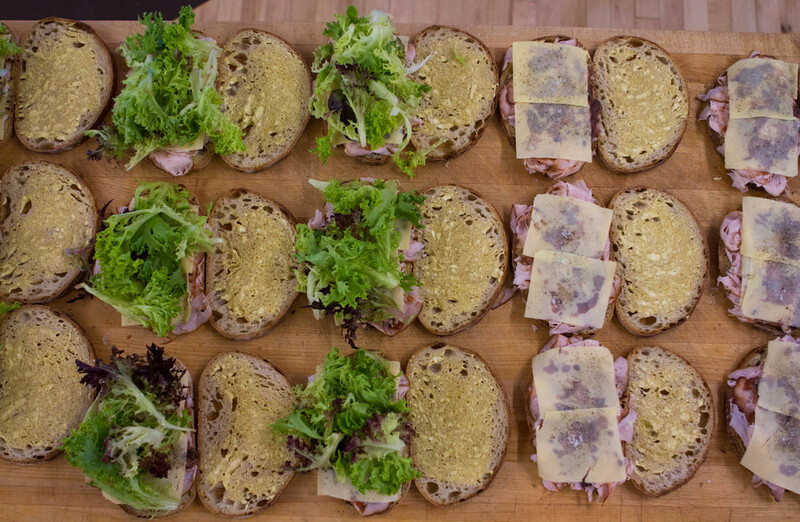 Artisan ham or smoked turkey comes with the works- fontina cheese, mayonnaise*, dijon and local lettuce. Available hot or cold. It's not just any ol'soup! We make our stocks from scratch with local produce & meat, mix in the seasonings & ladle in the love. Check out our Specials board for TODAY'S SOUP, served with a hunk of bread. Cup $3.50 / Bowl or "to-go"
Local lettuces dressed in your choice of creamy lemon garlic or balsamic vinaigrette topped with herbed croutons, served with bread & pickle. Our house made oregon line-caught tuna salad atop a bed of dressed mixed greens served with bread & pickle. Always fresh, our salad special highlights the flavors of the seasons! See today’s special board for details. Rustic pastry loaded with roasted yukon gold potatoes, house-made basil pine nut pesto & cheddar cheese. Applewood smoked ham & gruyere cheese rolled into the most tender croissant. Two pieces seeded sandwich or old fashioned white served with rich european butter (add raspberry jam for fifty cents). House made & served with strauss creamery vanilla yogurt and seasonal fruit. Eat here or take it to go.